An organised backpack inspired by '90s Equipment sportswear. 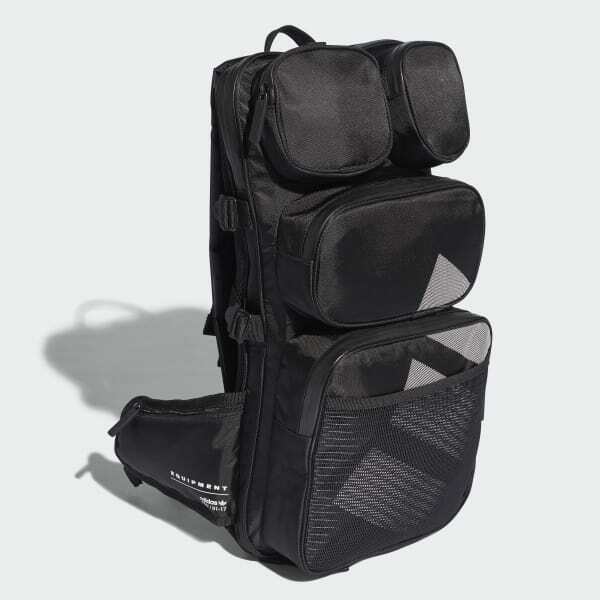 For those who appreciate a high degree of organisation when they pack up and go, this backpack delivers. Made of durable nylon, it features a slim main storage area, plus four zip compartments on the front. The padded shoulder straps fasten at the chest and waist.